Let's get one thing clear to start with; I like wind turbines. I think they're pretty cool in a sort of 80's near future sf movie kind of way. That slow, steady apparently inexorable turning is in some ways fascinating. At the same time I can appreciate that a lot of people would prefer that they were built out of sight - off shore for example - rather than smack in the middle of unspoilt countryside. I should also make public my bias in favour of nuclear energy. It's low carbon, fuel is plentiful (anywhere between 3,000 and 100,000 years of fissionables available) and the Generation 3 and 3+ designs are a significant advance on efficiency and safety when compared to the Generation 2 designs (e.g. Fukushima's Boiling Water Reactors or Chernobyl's RBMK). As for Generation 4 designs, such Molten Salt Reactors, well although they're probably 20 years or so away, they potentially offer a realisation of Lewis Strauss's vision where "Our children will enjoy in their homes electrical energy too cheap to meter." However you can pretty much guarantee that in any group of environmentalists the majority will, at the mere mention of nuclear power, start banging on about Fukushima this, Chernobyl that, Three Mile Island the other. "Build more wind turbines" they say, "wind is good, clean and can meet our energy needs". Last summer Mark Jacobson and Cristina Archer published a paper which backed this up. So that's okay then. Wind power can meet global requirements several time over. And with the right infrastructure periods of low wind in one country can be covered by power generated in other countries or regions. In fact the good professors reckon that 4 million wind towers spread across the globe could be generating 7.5 terawatts by 2030. Which seems pretty good. Except that the World's population is growing and while some nations will be making efforts to reduce their energy consumption it is safe to assume that other developing nations will be disinclined to follow suit. So 7.5 terawatts may well be considerably less that 50% of global requirements by 2030. And 4 million wind towers? Now 7.5 terawatts across 4,000,000 wind towers is roughly 1.9 megawatts per tower. But current designs have an energy yield of around 30% (best designs currently in production) so we'd require each tower to have about 6 megawatt capacity. That's a big tower, a big expensive tower. Northern Power Systems have an 8MW design, good for winds up to 36km/h. Now a 100m tower (and the NPS design has a rotor diameter of 175m, so the towers will be significantly taller than 100m) would cost around $500k. And that's on land. Without any additional infrastructure costs. Or taking in to account inflation. So to generate less than 50% of global energy demand from wind by 2030 would require a spend of in excess of $2,000,000,000,000 just for towers. I dread to think how much the cost of connecting to the various national power distribution networks would cost. Or the maintenance costs. At least as much again I suspect. So a spend of around $4 trillion. That's not a solution, let alone a viable one. Estimates of the global wind power resource over land range from 56 to 400 TW. 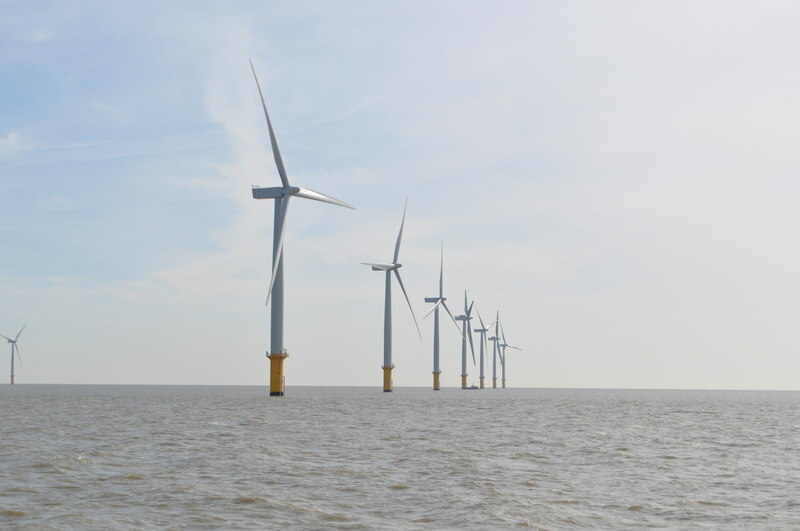 Most estimates have implicitly assumed that extraction of wind energy does not alter large-scale winds enough to significantly limit wind power production. Estimates that ignore the effect of wind turbine drag on local winds have assumed that wind power production of 2–4 W m−2 can be sustained over large areas. New results from a mesoscale model suggest that wind power production is limited to about 1 W m−2 at wind farm scales larger than about 100 km2. We find that the mesoscale model results are quantitatively consistent with results from global models that simulated the climate response to much larger wind power capacities. Wind resource estimates that ignore the effect of wind turbines in slowing large-scale winds may therefore substantially overestimate the wind power resource. So before tackling the challenges of building, linking and maintaining 4 million wind towers across the planet, we need to face the fact that we may not be able produce any more than 25% of global requirements at best. 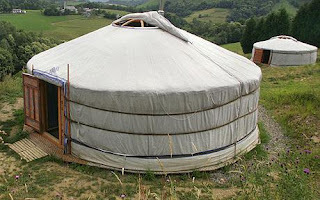 Assuming we all want to survive in style rather than accept reduced circumstances and take to living in yurts then wind isn't going to comprise anything more than a very small portion of any future power generation system. Which makes me question whether we ought to be subsidising wind generation at all. More viable alternatives would appear to include hydroelectric (all forms including tidal), geothermal and solar (proper solar generation, not the domestic installations which appear to be more of an long term investment scheme for those with spare cash than a genuine attempt at small scale renewables). But in the UK neither large scale solar (not necessarily appropriate) nor tidal (very much appropriate) is getting much of a look in. And the program to build a new generation of nuclear power stations in this country is becoming farcical as more companies pull out. 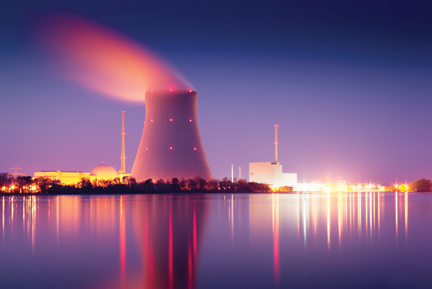 Last year it was E.ON and RWE npower, and more recently Centrica have also abandoned plans to build new nuclear power stations. With Ofgem predicting blackouts within 3 years (link is PDF) it is probably time to break out the candles and wood burning stoves ready for those cold dark days and nights when the electricity is turned off. And having lived through the "three day week" in 1974 I can assure you that it isn't a romantic or charming prospect. The way we'll have to live??? 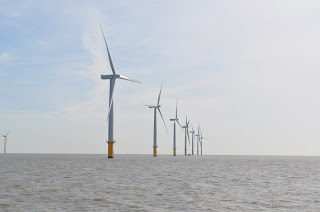 Wind Turbines may be expensive, but if within the next 100 yrs there is an earthquake (maybe due to fracking), tsunami or the sea level rises by 25m, then at least turbines won't slowly kill everyone and poison the planet for 1000's of years! Building nuclear power stations that are 100% safe against these sorts of events may just not be 'economical' for these companies (or us). Whatever happened to wave power? I heard that the gov. through it out years ago but that was based on faulty maths, when actually it is quite feasible? Bithumb is an online trading platform and it can be accessed on Mobiles, laptops and tablets. But sometimes users face difficulties in following the process on Mobile app. Are you facing difficulties in the process? Therefore whenever you are in need of help, dial our toll-free number without any delay. Dial the Bithumb helpline number 1888-764-0492 , state your problem and find an instant solution. Happy trading and happy life. I didn’t have enough good honest and conscientious people in my life so I was so scared to play all sorts of online games, slot machines, gamblingg But thank God, I got exactly on this site super online casino reviews ere, everything is honest and the conclusions are quick and everything is beautiful and clear.